The past six days at the US Open felt like the most eventful opening weeks of a Grand Slam this year, with so much drama unfolding both on the court and off it. The tournament is as wild as the city it’s located in and it’s been non-stop action since the first ball was served into play last Monday. Here’s a look at some of the highlights – and lowlights – from week one at the Open. This didn’t necessarily happen at the US Open but the comments made by French Tennis Federation president Bernard Giudicelli regarding Serena Williams’ catsuit were a hot topic during the first few days in New York. Giudicelli said Serena’s outfit at this year’s French Open disrespected the sport and he said it would be banned in the future. Roland Garros tournament director Guy Forget then said there might be a dress code at the event in the future. Here in the United States, it felt like every single news outlet, celebrity, and TV station came to the fore to defend Serena, her catsuit and women’s rights. Maybe that was Giudicelli’s goal all along? Probably not! The weather hasn’t been kind in Queens, New York during opening week which meant that the US Open whipped up a last-minute Extreme Heat Policy for the men’s event for the first time in tournament history. The women always had a well-defined extreme heat rule but the men, for some reason, never did. With temperatures nearing 40 degrees, humidity close to 50 per cent, and on-court readings exceeding 50 degrees, the conditions were brutal which resulted in five heat-related retirements on Tuesday alone. Several players hit out at the tournament for forcing them to play in what they felt were dangerous conditions. Other players complained about poor organisation surrounding the new rule as Cameron Norrie got a time violation because the watch on the referee who escorted him during the 10-minute break was not synchronised with the watch of the chair umpire and he was misled into believing he was on time when he was not. Timea Bacsinszky recounted a terrible experience where she was taken by the referee to a public bathroom and was mobbed by fans asking for autographs mid-match and was yelled at by a cleaning personnel for trying to find a place to change inside the bathroom. The Extreme Heat Policy was in effect on Wednesday as well and the rules dictate that players are not allowed to speak to their coaches or members of their team when they take the 10-minute off-court break after the third set. Andy Murray was furious during his match against Fernando Verdasco because he claims he walked into the locker room and saw the Spaniard talking to his coach and another player who was sitting in his box. Murray went and told the umpire and supervisor and was angry for being put in the position to have to try and enforce rules in the middle of a Grand Slam match. Verdasco later denied Murray’s claims, saying he was talking to Marcos Baghdatis and his coach in the ice bath. Murray then posted on his Instagram a picture with the hash-tag ‘#liarliarpantsonfire’. Baghdatis added fuel to the fire by saying Verdasco was seen indeed talking to his coach in the locker room. The plot continues to thicken! Alize Cornet returned from the 10-minute break during her first round against Johanna Larsson with her shirt accidentally worn the wrong way. On court, behind the baseline, with her back to the net, Cornet quickly took off her top – she was wearing a sports bra – turned it around and put it on the right way. She then received a code violation for unsportsmanlike conduct from the umpire which outraged both the Frenchwoman and everyone else watching. Why can a man change his shirt on court but a woman can’t? The US Open released a statement the next day amending their Change of Attire policy. Chair umpire Mohamed Lahyani raised many eyebrows when he got off his perch and went down to give Nick Kyrgios a pep talk during the Aussie’s second round against Pierre-Hugues Herbert. Kyrgios was down a set and 0-3 and Lahyani intended to warn him about tanking. Instead, the umpire was heard giving encouraging words to Kyrgios, who went on to win the match, raising his level considerably. Herbert understandably was unhappy with the umpire’s actions, Roger Federer agreed that it wasn’t the umpire’s role to do that and public opinion mostly concurred. Lahyani wasn’t sanctioned by the USTA due to his strong track record but the tournament referee admitted the Swede’s actions went beyond protocol. His matches will be monitored moving forward. Not sure how the players feel about this considering their track record is never taken into consideration if they make a mistake! A USTA rep told me it is already looking into Lahyani’s conduct in this match. The 22-year-old Karolina Muchova took out 12th-seeded Garbine Muguruza in a late-night match on Louis Armstrong Stadium. The Czech qualifier, ranked 212 in the world, was playing a top-50 player for the just the second time in her entire career. This is not necessarily a huge surprise considering Kaia Kanepi reached the quarter-finals twice at the US Open, including last year, but still, she took out the world No. 1 in straight sets, which is the first time in the Open Era that a women’s US Open top seed crashes out in the opening round. In a match that ended at 2:22am, 2014 champion Marin Cilic made a gritty comeback from two-sets-to-love down against 19-year-old Alex de Minaur, who played his heart out before succumbing in five sets. With incredible speed, variety, and fighting spirit, De Minaur saved seven match points and broke back when Cilic was serving for the win but the No. 7 seed ultimately proved too strong. That fifth set was the most exciting stretch of tennis of the week, no doubt! This was arguably the best match of the opening week with some stunning display from both Karen Khachanov and Rafael Nadal. At some point, it looked like Nadal was about to go down two sets to love but the Spaniard pulled off his signature Houdini act to survive. An opening round between two former US Open champions, the two veterans gave us an unforgettable showdown on day one of the tournament. The Spanish former world No. 16, who turned pro 20 years ago, played her final tournament here at the US Open, losing her doubles first round alongside Arantxa Parra Santonja. Medina Garrigues was ranked No. 3 in doubles, won two French Open doubles titles and an Olympic silver medal. The 36-year-old is Spain’s current Fed Cup captain, and coached Jelena Ostapenko to the Roland Garros crowd last year. The Ukrainian hung up her racquets at the US Open following a 14-year-career, playing doubles with her compatriot Elina Svitolina in New York this fortnight. She is a three-time doubles titlist and represented Ukraine in both Fed Cup and the Olympics. The Spanish ex-world No. 3 played the last Grand Slam of his career at the US Open, retiring from his first round against Rafael Nadal. The former Roland Garros runner-up will play his last tournament at either Barcelona or Madrid next year. The Russian’s Grand Slam career came to an end in New York when he walked off the court with cramps, forced to retire in the fourth set of his opener against Marcos Baghdatis. The former world No. 8 is set to retire at the St. Petersburg tournament later this month. The 36-year-old French veteran played the last match of his career against Jan-Lennard Struff in the second round at the US Open. Benneteau is an Olympic bronze medallist and Davis Cup champion with France. He won the French Open doubles title in 2014 and was ranked a career-high of 25 in singles and was No. 5 in doubles. 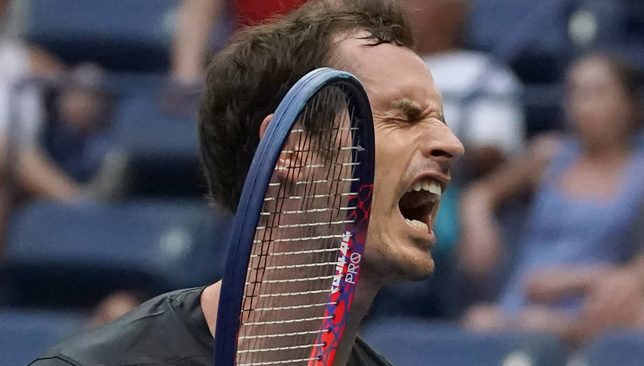 The 34-year-old German was sent into retirement by Borna Coric in the US Open first round. Mayer peaked at No. 18 in the world in 2011 and won two ATP titles in Bucharest in 2011 and Halle in 2016. The Canadian doubles legend is set to retire after his nation’s Davis Cup tie with the Netherlands this month and bid farewell to his Grand Slam career with a first round doubles loss to the Harrison brothers in New York, alongside his partner Bradley Klahn. Nestor is the first doubles player on the men’s tour to reach 1,000 wins and the first in doubles to hold a sweep of all of the Grand Slams, Masters 1000 events and Olympic gold. Alexander Zverev suffered yet another Grand Slam first-week exit, this time at the hands of fellow German Philipp Kohlschreiber in the US Open third round on Saturday. The world No. 4 lost 6-7(1), 6-4, 6-1, 6-3 to Kohlschreiber to become yet another high-seeded casualty on the new Louis Armstrong stadium that is shaping up to be a graveyard court for the top guns this tournament. Zverev, who has reached just one Grand Slam quarter-final so far in his young career, continues to perform better at tour events than at the majors and he brought in Ivan Lendl prior to this event to help him step up on the big stage. But with their partnership barely two weeks old, Zverev wasn’t expecting a miracle a this US Open and is eyeing progress under Lendl’s tutelage next season at the Slams. “It’s a process. It’s a process of developing. 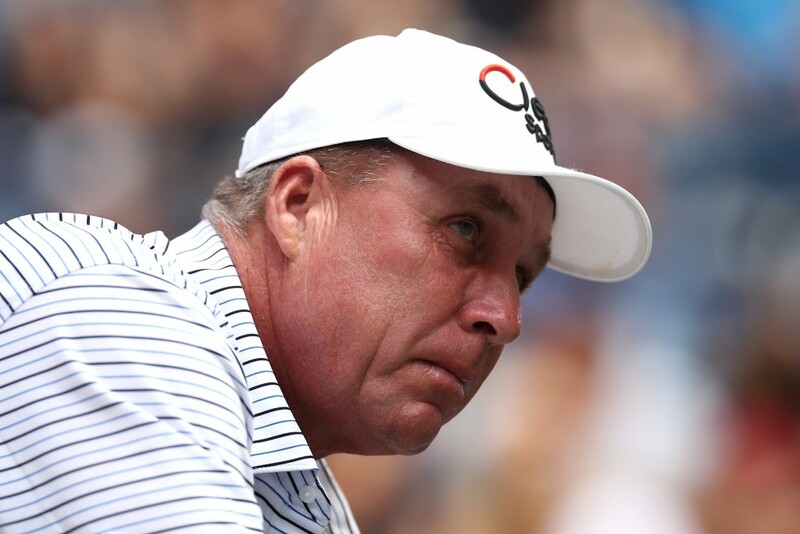 I took him [Lendl] to do well at Slams. But this is a process. You can’t expect to kind of immediately see the results. I think the results will come hopefully next year,” said the 21-year-old. “He’s very straightforward. He said that it’s a process of getting there. It’s a process of playing well at Slams. He told me before the tournament started that, ‘Hopefully you’ll do very well at the US Open, but we’re more looking towards next year’. We’re more looking towards being at latter stages, competing for Slams next year. Zverev has won three Masters 1000 trophies over the past two seasons, and retained his Washington title earlier this summer. He is 35-10 win-loss at tour events in 2018 but just 10-4 at the majors. He entered the contest with Kohlscreiber with a 2-2 head-to-head record against his compatriot but had won their last two meetings without dropping a set. Yet on Saturday, Zverev converted just 3/13 break points against the world No. 34 and committed 53 unforced errors. He also squandered 3-0 lead in the fourth set before succumbing. “Look, I mean, sure, he knows me. Last few times we played, I won fairly easy. But today was different. I mean, as I said, he played a good match, played a smart match. He mixed it up well, didn’t give me a lot of opportunities,” said Zverev. Referring to his early losses at the majors, the young German added: “I mean, at tour events I lose, as well. There’s just more tour events. You probably recognise it less. I lost to Robin Haase last week in Cincinnati. I lost to Tsitsipas in Toronto. Those are not that great losses for me either. Naomi Osaka loves New York. She moved to the city from Japan when she was three years old before eventually relocating to Florida. She feeds off of the energy of the place, takes long walks around Manhattan on her days off and has been eating salmon bagels for breakfast every morning. On Saturday, she served her opponent, Aliaksandra Sasnovich, a double-bagel, cold, to reach the fourth round of the US Open for the first time. She next takes on in-form 20-year-old Aryna Sabalenka, who eased past Petra Kvitova 7-5, 6-1 to reach the last-16 on her maiden main draw appearance in New York. She is the first Japanese woman to reach the last-16 at the US Open since 2004 when Ai Sugiyama and Shinobu Asagoe both advanced to the second week. Osaka has played three matches so far this fortnight, dropping a total of seven games. Her 6-0, 6-0 triumph against Sasnovich saw her hit just three unforced errors. The 20-year-old, who made a stunning run to the title at Indian Wells last March, spoke recently about struggling to adapt to the heightened expectations that followed her success in the California desert. It seems said struggles are well behind her. “I just remember she hit three really good shots, I think, in the first game to get up 40-0 on my serve. And then from that moment, I was just thinking that I’m going to try to make as many shots as possible. I ended up winning that game,” Osaka said of her third round victory over Sasnovich. Osaka never took her foot off the gas pedal throughout the match, which is something she is particularly proud of. “I used to have a little bit of — like if I would go up 3-0, then I would create this drama where I relax a lot, and then I let the person come back into the match,” admits the 20th-seeded Osaka. Her coach, Sascha Bajin, whom she hired end of last year, was at a loss for words when asked what he was most pleased with from Osaka’s third round whitewash. “There were so many good things I don’t even know what to say,” Bajin told Sport360. Osaka seems quiet and reserved, but unlike someone like Simona Halep, who said the hustle and bustle of New York City makes for quite the draining experience at the US Open, Osaka thrives on the atmosphere here. “For me, New York is very nostalgic. I used to play here when I was a little kid, so these courts aren’t new to me,” said Osaka. 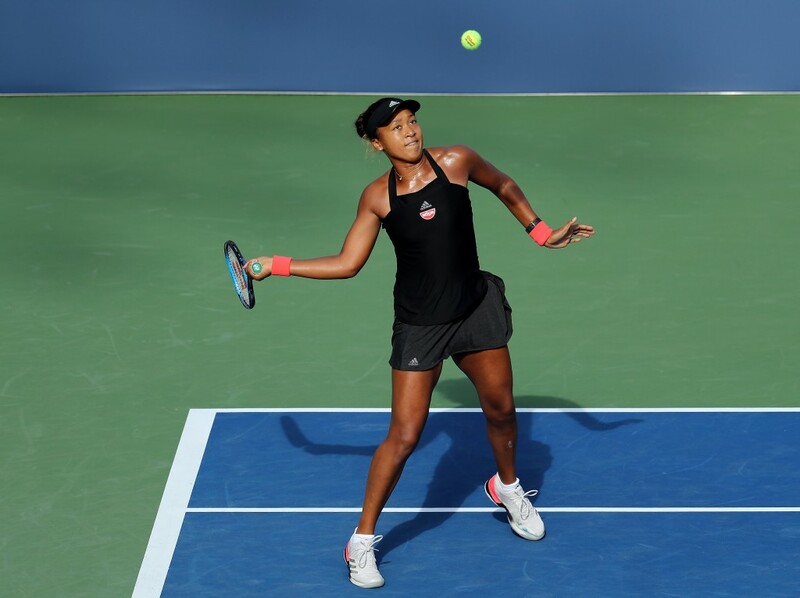 Having cruised through her opening three rounds, Osaka next faces an opponent who is on an eight-match winning streak and is high on confidence from capturing her maiden title in New Haven last week. Bajin is not worried that Osaka’s double-bagel in the third round would give her a sense of over-confidence. “Naomi isn’t the girl that would get over-confident. When you talk to her, or see her, she doesn’t look like that. I know she’s not like that, and it’s also my job to keep her grounded. She knows that all these other girls deserve to be in the fourth round just as well and knows that anybody can beat anybody on any given day, so it’s not a problem or issue with Naomi,” he said.